A rich, loam based compost that is ideal for re-potting or planting out mature plants. 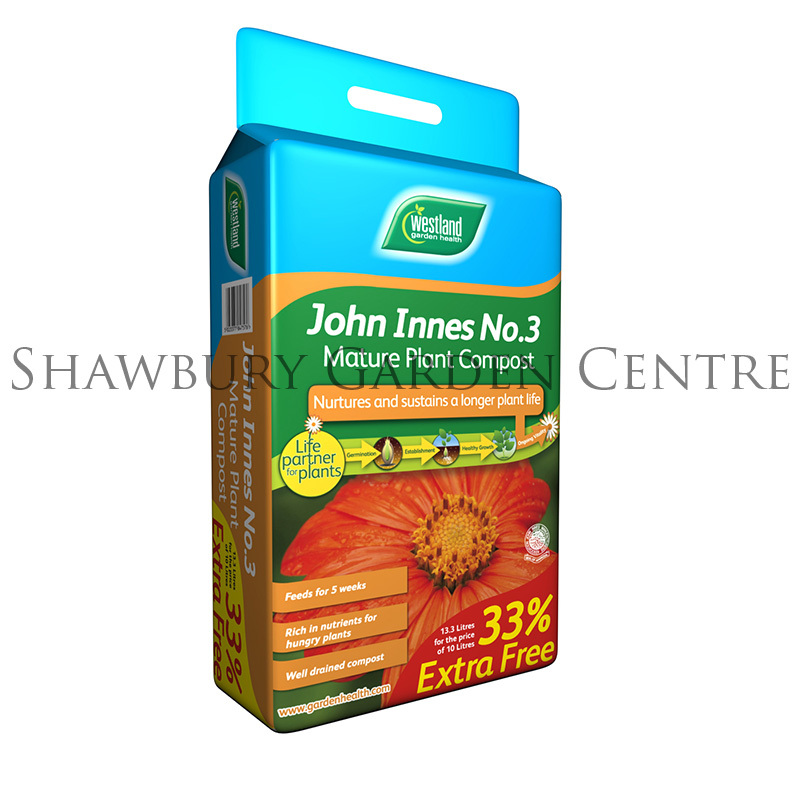 The high loam and nutrient content of John Innes No 3 compost means that it is suitable for high feeding vegetables, foliage and flowering plants. It is also easy to water and re-wet. A slightly acidic pH of 6 to 7 means that this compost is suitable for a wide variety of plants allowing them access to the nutrients within the growing medium. It is not suitable for acid loving plants like Rhododendrons, which should be potted into an Ericaceous compost to allow them to flourish. As with other composts in the John Innes range, Westland's number 3 is made to a very specific set of standards to ensure that you get great results time after time. It is approved by the John Innes Manufacturers Association. John Innes No 3 makes a really good base for an Alpine Compost.